They attract crowds from across all of NYC and serve the kind of food you dream of! 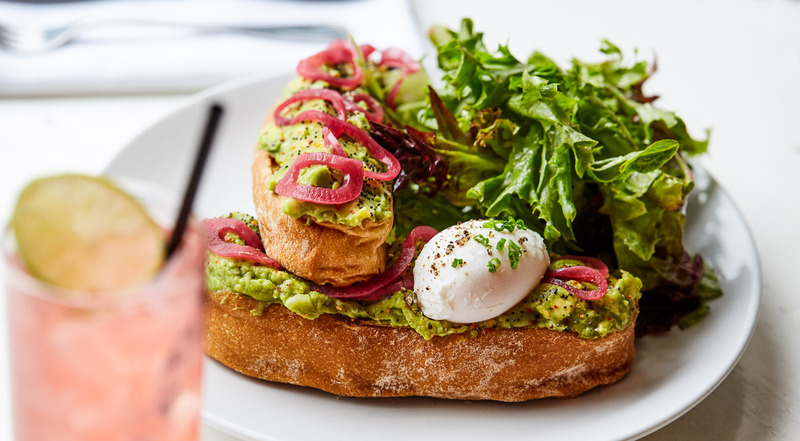 The Greenpoint darling, Esme, has made a spot on The Infatuation’s ’Brunch Greatest Hits List’, an accomplishment itself in a city with an oversaturated brunch market. But Esme is much more than that. 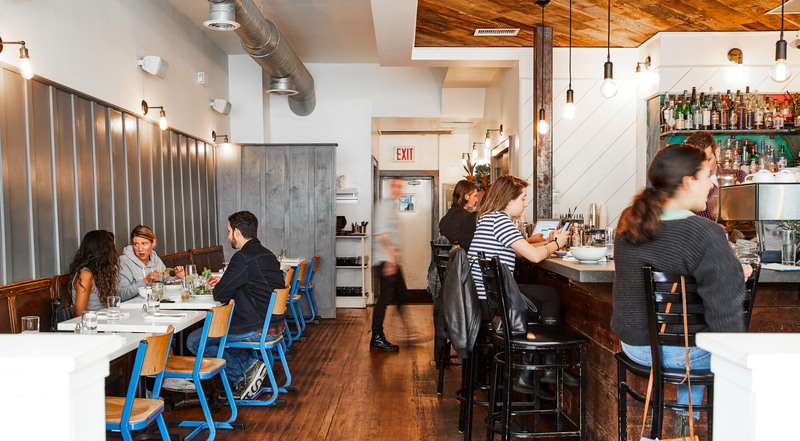 The popular Greenpoint restaurant offers everything from quiet morning coffees to bustling brunch with friends and cozy dinners inside and under the blue sky in their beautiful garden. Pick whatever you like at Esme in Greenpoint. Every voucher has a value of $50. Purchase one or more vouchers. Invite friends and family for brunch, lunch or dinner. Go for brunch and try the pork belly eggs benedict with tabasco hollandaise and breakfast potatoes. Enjoy the blueberry pancakes and the savory parmesan French toast with tomato-braised kale and poached eggs. Opt for the avocado toast, the overnight oats and the homemade granola with yogurt and spiced honey. 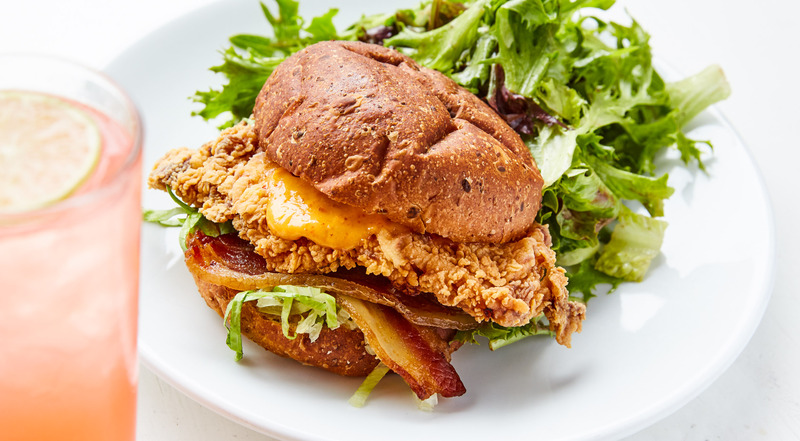 For lunch, taste everything from fried chicken sandwiches to grass-fed beef burgers and salad bowls. For dinner, choose burrata with grilled peaches on toasted sourdough. 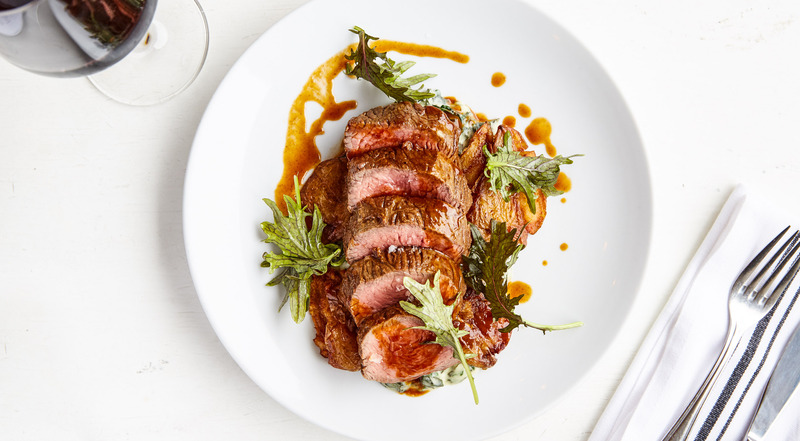 Pick the bistro steak with smoked potatoes and creamed kale. 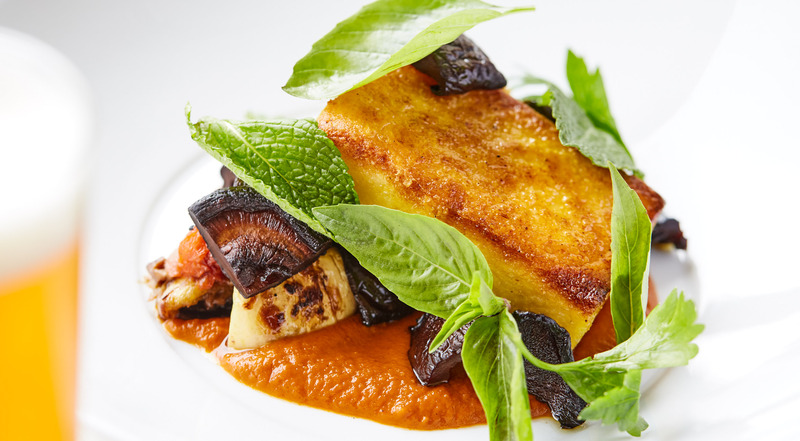 Go for the crispy polenta or the grilled Scottish salmon with quinoa, radishes and whipped feta. Enjoy signature cocktails and wines. Pick specialty coffee, freshly pressed juice and much more. The choice is all yours! 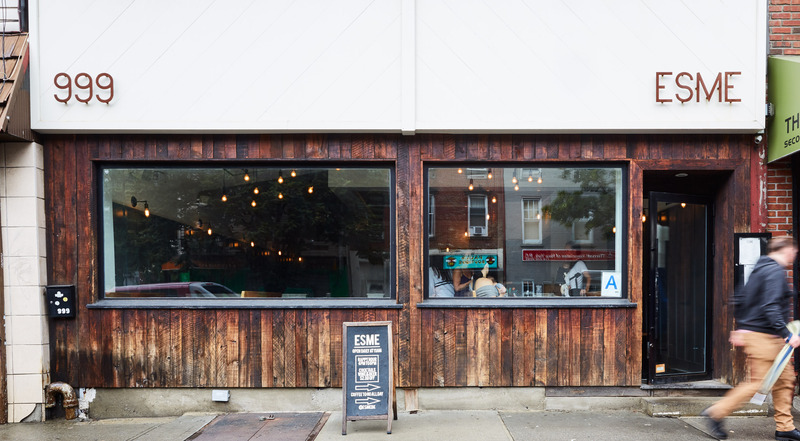 Esme is owned by the trio and Greenpoint-locals, Brandon Chamberlain, Matt Ricke and Nathan Ricke. 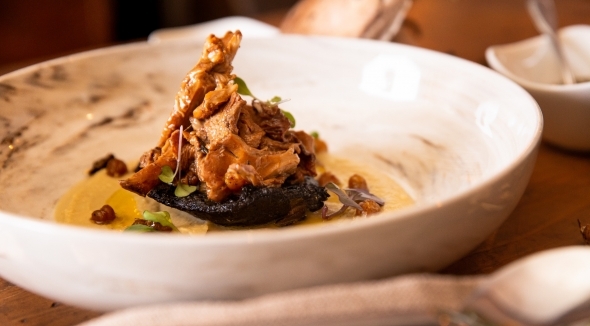 Together with executive chef, Adam Volk, Esme has come to be a down-to-earth place where everyone is welcome. 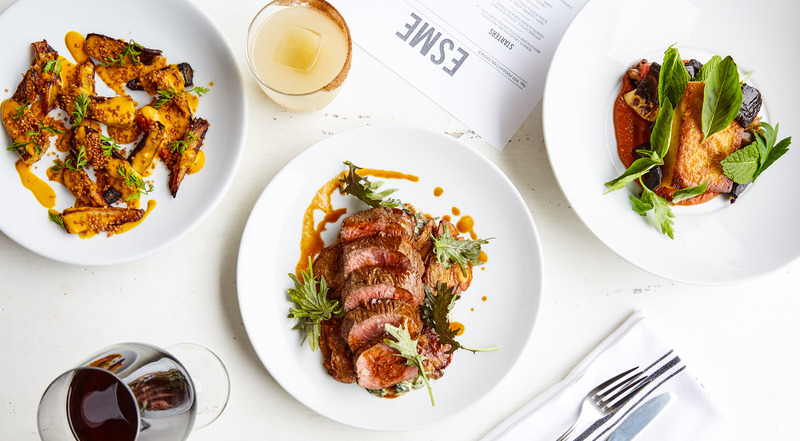 The food is unpretentious, but really, really good, and the kitchen celebrates classic American comfort food with an Esme spin to it. The décor is welcoming and homely, paying homage to the neighborhood. The benches come from a local church, while the chairs are from an old German school, found at a Greenpoint vintage dealer. With huge windows facing Manhattan Avenue, Esme gives a great opportunity to do some people-watching. The restaurant is a true neighborhood gem, but its cozyness and food attract people from all over the city.